The latest figures from Eurostat indicate that EU pig slaughterings in January 2018 totalled 23.3 million head. This was up a substantial 7% on the month in 2017, although there was an extra working day in January this year. Nonetheless, even on a per working day basis, slaughterings were 2% higher than year earlier levels. 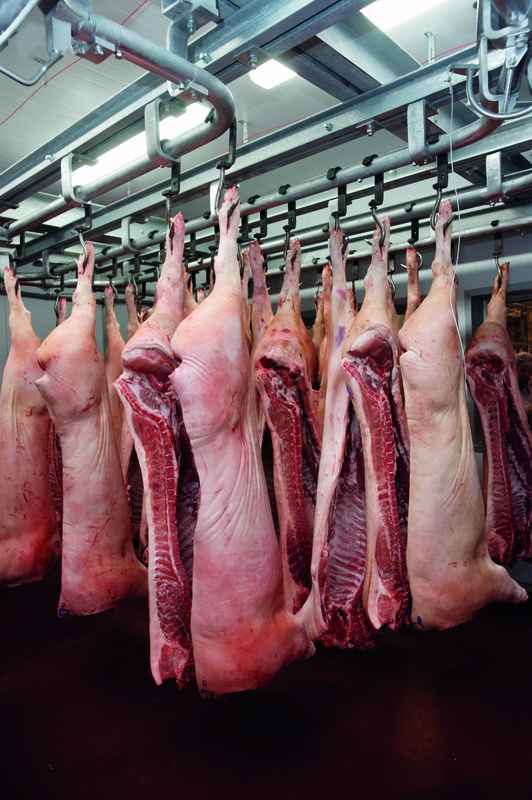 Carcase weights were also heavier year on year, which pushed overall pig meat production 9% ahead of year earlier levels at 2.19 million tonnes. This supports reports of ample supplies on the EU market in the new year. 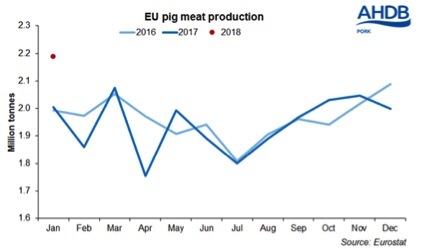 The higher supply level was not met with increased demand, and hence EU pig prices declined by €6/100kg during the month. The most important contributor to the rise in EU slaughterings was Spain; throughputs were 11% higher than January 2017 at 5.0 million head. The German kill also rose 7% on year earlier levels, and Polish throughputs were up 13%. However, slaughterings in Denmark and the Netherlands remained stable on the year, limiting the overall growth in throughputs. This likely reflects high live pig exports from these countries.